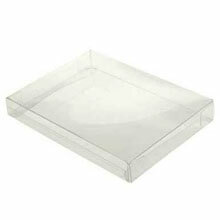 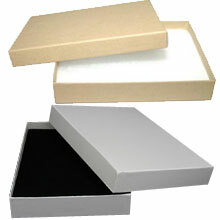 We are pleased to offer custom sizes for all our stationery boxes. 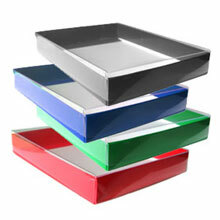 If you've already taken a look at our stock sizes and couldn't find the size box that is right for you, give us a call at 1-413-562-7483 or submit the form below and we will gladly provide you with a quote for stationery boxes manufactured to your exact specifications. 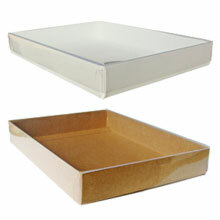 Made from white or all natural kraft paper board.